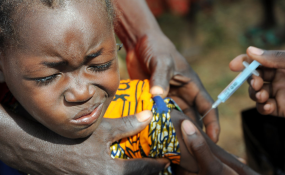 Home / #Health / #TrueNews / Africa / Nigeria / #Health ,#TrueNews: Meningitis outbreak in Nigeria has already killed 1,114 people ! #Health ,#TrueNews: Meningitis outbreak in Nigeria has already killed 1,114 people ! Nigeria has so far recorded a total of 1,114 deaths in the 22 weeks of the Cerebrospinal Meningitis outbreak which hit the country in November 2016. A statement by Nigeria Centre for Disease Control stated that the outbreak which has been ravaging the country for 22 weeks has affected four additional local government areas bringing the total affected local governments to 226 compared to what was obtainable last month. 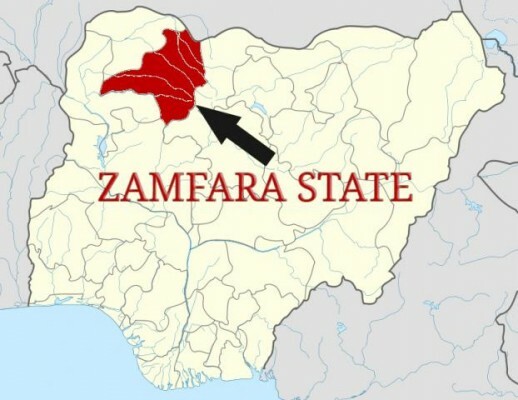 Zamfara State recorded the first case of the latest meningitis, CSM, outbreak and has recorded the highest casualty; followed by Sokoto, Kano, Katsina, Kebbi and Yobe, which have reached the alert/epidemic threshold. So far, a total of 14,005 suspected cases have been identified from 23 states and the Federal Capital Territory. Out of 901 samples sent for laboratory testing, 423 were confirmed positive for Neisseria meningitidis while 309tested samples showed the causative organism to be Neisseria meningitidis serogroup C, with eight per cent fatality rate from the disease. The health agency attributed the increase in the number of suspected cases to an increased knowledge of the case definition for the disease. Many health professionals at inception of the outbreak had missed the epidemiology of the disease when it first presented itself thereby making government intervention in providing vaccines to combat the spread of the disease late. According to the NCDC, the knowledge of the disease however does not translate to better outcome for the cases, as seen with the number of deaths recorded so far. The health agency said the case management of CSM, like other disease conditions, follows a sequence of case detection, laboratory confirmation, treatment using the preferred drug of choice and supportive care. "At the onset of the outbreak, a large number of identified cases did not have samples taken for laboratory testing and were managed empirically. This may have been a contributory factor to the high number of deaths recorded. However, the Rapid Response Teams deployed to the most affected states supported sample collection and therefore an increase in laboratory confirmed cases," it said. The agency said in order to prevent future outbreak of the disease since CSM is a seasonal event of public health concern, there is a need for intensive and periodical community sensitisation on the disease and the need for early presentation and use of the public health facilities for immediate and proper treatment. In the course of the outbreak, the Nigeria Centre for Disease Control (NCDC) alongside the National Primary Health Care Development Agency (NPHCDA) and other partner agencies have provided on-site support for case management in the worst affected states.